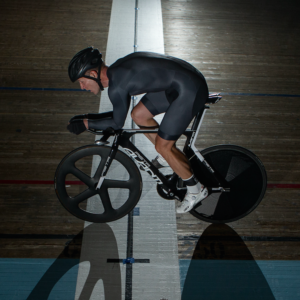 Form and function for your Gran Fondo, track or cross performance. Simplistic graphics featuring Fibr ‘X’ logos – a nod to our Norse heritage. Easy open front with full length covered zipper. High-stretch with compression for support. Back panel is made from mesh structure fabric for extra breathability. Legs feature raw edge cuffs with Silicone honeycomb print for secure fit. Anatomical CyTech® Elastic Interface pad. The best we have tested so far. Sizing: The cut is aero – but thanks to the high stretchability of the fabrics, this speed suit will fit most body shapes. Order the same size as you normally wear in Italian cycling clothes.